- Reminiscent of the fabulous beasts carved into the prows of Viking ships, these magnificent dragons will serve a similar purpose-- to guide and protect you as you travel along your way. Dragons measure approximately 1" tall, not including the French hooks. For pierced ears only. 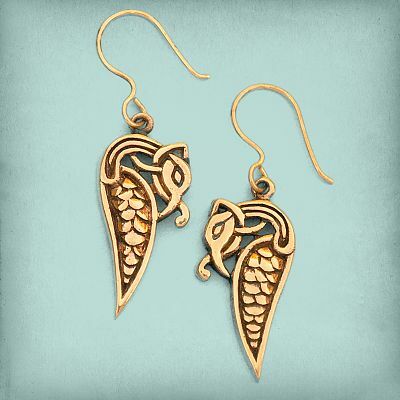 Do you have any other questions about our Bronze Viking Dragon Earrings?